The little cafe at the ‘top of the hill’ has been a Liverpool institution for more than four decades. 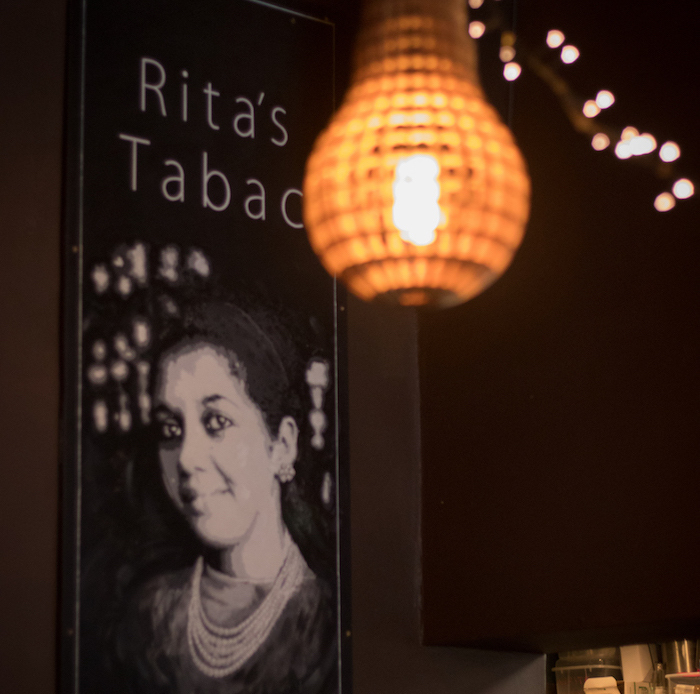 For many years, Cafe Tabac was presided over by the formidable Rita, who was never shy to tell customers what she thought of them or turf out those who made a cuppa last three hours. The cafe has never shut its doors and is now the longest running cafe bar in Liverpool, still independently owned by Rita’s family, and retains the charm and authenticity that only comes with serving the city for forty-odd years. Our reputation was built on our breakfasts and we still serve them 12 hours a day, 7 days a week. Cafe Tabac is the only place in town where you can get bacon on toast at eight at night, washed down with a cocktail or two. Everything on the menu’s home-cooked, and made from scratch just as it has been since 1974, you’ll find a few healthy options on it, but we’re more about comfort food than counting calories. From smart and snazzy cocktails to hangover-quenching jugs of Dirty Shandy, we offer a wide range of drinks including wines, craft beers and our own 1974 Pilsner, which is brewed exclusively for us. While you’re with, why us not try a Cafe Tabac Espresso Martini? Made to our own secret specification, it’s our most asked for cocktail, and considered to be the best in the city by those in the know. Hidden away at the back of Cafe Tabac is our cinema room which is available to hire for free. Intimate and private, it’s perfect for gatherings and get-togethers of up to 25 guests. With a cinema screen and casual seating, it’s a great little space that works well for parties, away-days or even group movie nights! For larger events, full hire of Cafe Tabac is also available, please drop us a line and we’ll be happy to give you more details and a price on request. Cafe Tabac is a member of Independent Liverpool, a fantastic membership scheme that is all about linking up all those little gems that fill life’s little spaces. Click here to visit their site and check out our latest offer.